3B's Toy Hive: The Honeypot: TV & Film Toys! I've mentioned it before, but I've been really busy lately with a lot of "real life" stuff going on right now, not the least of which is the impending arrival of my second daughter. During my free-time I've tried to make my usual rounds and avoid missing out on any new toy releases in stores. Some of the new pickups in today's Honeypot have been at the Hive since the beginning of the month, but everytime I've planned to write a post, something else comes up. Then to top it all off San Diego Comic Con came up last weekend and derailed my online schedule. No worries as the delays offered up a nice little group picture for this post. Let's get to it! I certainly didn't plan it this way, but the latest Honepot is composed of almost all TV & movie-related toys. '66 Batman, Despicable Me 2, Predator, Aliens and Man of Steel. July kicked off with the arrival of Daniel Bryan's latest Basic figure featuring an open mouth and thick beard. I ordered this one from Amazon along with a Pikachu toy for my daughter who suddenly became interested in Pokemon (and lost interest just as quick...). The reason the figure isn't pictured above is because I removed the head and put on my Elite 19 Bryan who had a very plain and boring expression on his face. The new head looks killer and is easily the best D-Bry headsculpt to-date. A week or so later I found Santino and AJ (both from the same series as Bryan) at my local Toys R Us during a "Two for $19.99" sale. With Santino there was the added bonus of a new flat hand sculpt to recreate his "Cobra Strike" pose. I swapped the hand out with his Elite 20 figure to give it that flatten look under the cobra sleeve. It's not such an improvement that I recommend everyone go out and buy him, but if you like the alternate head sculpt, then it's a nice little extra. AJ finally shows up in here jean shorts and black top. The only thing missing is a Ziggler t-shirt to complete her look during their relationship. Along with AJ, Santino and a couple of minions I also picked up the Dark Knight Returns Batman. Initially I planned to give it as a gift for a friend's birthday, but eventually thought I could give him something a little nicer than a single figure. I was planning on returning him, but decided to keep him when I realized he was a better stand-in for a Batman: Dead End dark knight than my Alex Ross Justice figure. I finally shipped Wally West Flash who has been sitting in my pile of loot at BBTS since May when the new '66 Batman & Robin two-pack came in-stock. The Flash is a lot nicer in-hand, but the lack of accessories makes the $30 I paid for him sting even more. However, I'm glad I was able to get him because Wally West is really "my" Flash. He was the Flash when I started reading comics in the early '90s, so I couldn't skip him. The Batman & Robin figures are interesting... I'll be honest I wasn't clamoring for action figures based on Adam West's portrayal of Batman until Mattel revealed the Batmobile for the line during Toy Fair last February. As a kid, I couldn't get enough of the classic Batman TV show (in reruns, of course). My brother, cousin and I watched a VHS tape of the '66 movie almost every weekend. Eventually we cycled in Tim Burton's Batman films when those were released. It wasn't until Schumacher delivered Batman & Robin in 1997 that I wanted to distance my idea of Batman from those campy interpretations. And so I wanted to "hate" the '66 Batman. But now being a little older, a little wiser, I can appreciate that version of the Caped Crusader for what it was: a fun, colorful action adventure series that didn't take itself too seriously. It's okay to like Nolan's Batman and the Adam West version. They can co-exist without tainting each other and it's okay to be a fan of both. Anyway, the figures look just as goofy as Adam West and Burt Ward did in the sixties and that's exactly what I wanted! I have plenty of deathly serious Batman figures around, these offer up a nice change of pace. Something to look at that's light-hearted. The Batmobile is not as impressive as I thought it would be. It's essentially a plastic shell on wheels. No electronics, no opening doors, no gimmicks other than it rolls. That's fine since none of that was ever promised, but I somehow came to the conclusion that the doors and hood would open. That said it was offered on TRU.com during SDCC for $59.99 and qualified for free shipping on orders over $79, which I easily surpassed by buying a couple of other items. At sixty bucks I feel it's over-priced (of course, it IS a TRU exclusive, so...) and think that $45 would have been the ideal price for this. By contrast I paid $35 for the Batman: The Brave and the Bold version a few years back which is probably just as big AND can transform into a Batplane! If you're getting the figures, you'll most likely want the car and it does look nice with some cool details, but if you can pick it up during a sale, all the better. I'm keeping the receipt and keeping an eye out when they hit stores. One of the other items I shipped with the Batmobile was the Xenomorph Warrior from Aliens. I decided that was another '80s franchise I really needed to have represented on my shelves. This figure is really impressive and I've already pre-ordered the blue version along with the '79 creature. 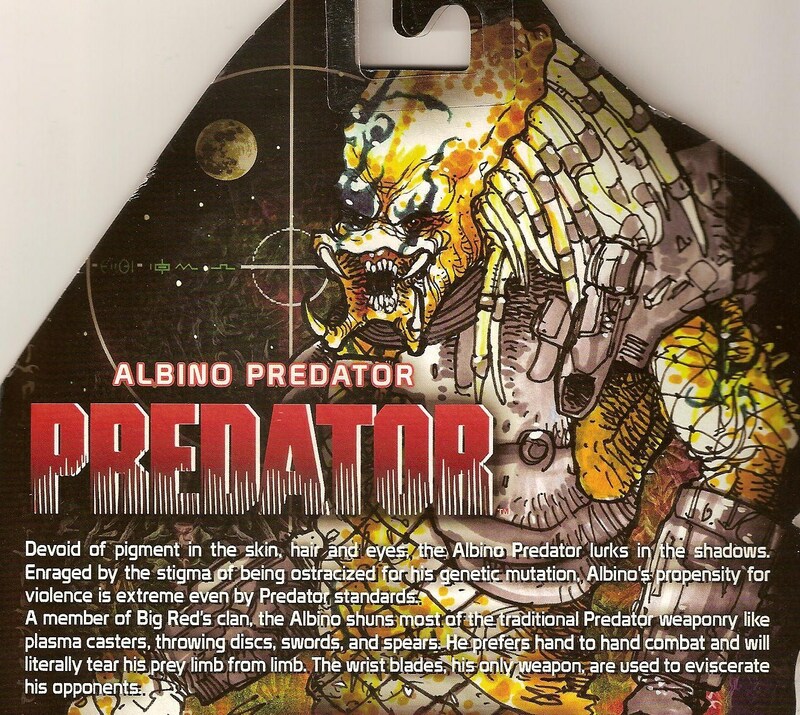 Like TRU, NECA made their exclusives available during the show and I'd been eyeing the Albino Predator (from the aforementioned Batman: Dead End) since he was first revealed. I wanted to get my money's worth for the shipping cost so I decided to grab the videogame Jason, too. This version of the killer from the Friday the 13th franchise is based on the old videogame of the same name released on the original Nintendo home console. I remember playing the game as a kid. It was pretty terrible and didn't hold a special place in my heart or anything, but I loved the Jason films when I was younger. I skipped NECA's recent Jason figure because I don't really like to have gory stuff on display around the house, but I've made exceptions with the Predator toys and I figured this version of Jason is goofy enough to appear non-threatening to a five-year-old. 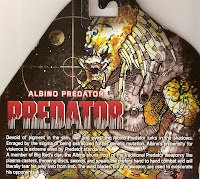 Speaking of Predators, the Albino Pred is probably my favorite one to date. He doesn't include any accessories (which is explained in his bio) and he's pretty much all reuse, but that paint job looks fantastic and he gets us two thirds of the way to our Dead End Clan of Predators from the fan flick. Wasp is the only one missing and he's supposed to be coming out by the end of the year. I mentioned during the last Honeypot that I had some stuff on preorder that I was expecting to ship out this month. Those were several Man of Steel Movie Masters including Zod (in shackled and armored versions), Faora and Superman in black. I ended up canceling the preorders, feeling I only really wanted Zod in his armor. I found him at my local Target last week. He's actually really well-done and demonstrates just what Mattel is capable of when they invest in tooling. That's it for this edition of the Honeypot. On the radar currently is WWE Elite 22 and those upcoming Aliens & Predator figures. I'd like to get some of these toys reviewed soon, especially the exclusives, but I won't make any promises.